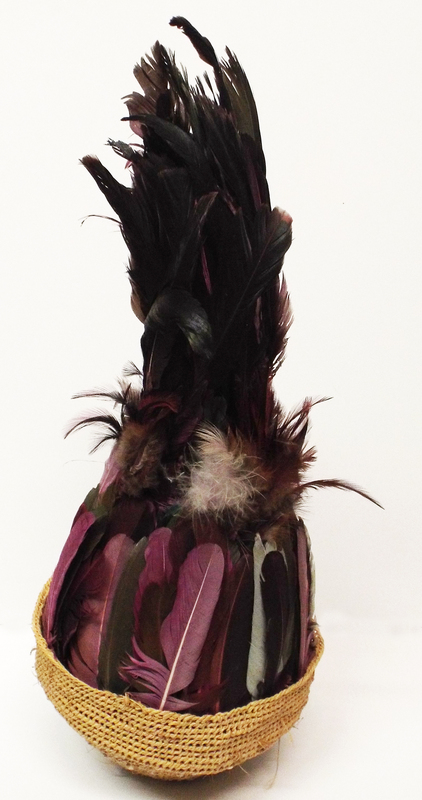 A ceremonial hat made by the Bamileke people of Cameroon from feathers and woven plant fiber. The hat is opened and then worn on the owner's head; pictured here it is closed. 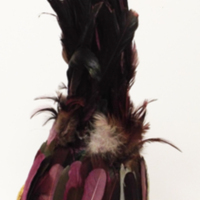 It appears to be handwoven and features a multitude of differently colored feathers. unknown, . “Tyn Hat.” Truman Warner Anthropological Collection, MS048. WCSU Archives, 6 June 2018. Accessed on the Web: 26 Apr. 2019.